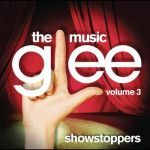 solid collection of glee tracks on this one! it has probably become my most played album of the year, the only thing is i would have swapped the safety dance with 'run joey run', that track is mint! So übel, wie manche es darstellen, ist es nicht. So gut, wie die beiden Fans bisher meinen, erst recht nicht. 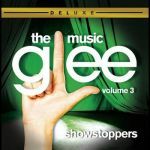 This is mostly above average for Glee's standards, but not a good choice for #1 I think. It's not their worst album, but I don't ever plan on listening to it again. Saison 1 - épisodes 14 à 21.